Children love being outside, getting messy and using real tools to dig. Planting bulbs is a great way to incorporate outdoor learning whilst engaging with children, linking these activities to the curriculum. There’s nothing better than watching a child’s curiosity grow whilst planting their favourite flowers. Using science, children can learn how living things are classified into broad groups according to common observable characteristics, all based on similarities and differences. They can observe and describe how bulbs grow into mature plants, finding out why plants need water, light and a suitable temperature to grow and stay healthy. Children can identify and describe the functions of different parts of flowering plants and bulbs: roots, stem, flower and leaves and investigate the way in which water is translocated within plants. Through observation over time, children can observe the effects of climate and weather on plants and can discover about the habitats that plants create for humans, animals and insects. Computer skills can be incorporated into planting by allowing children to design, plan and research all the plants they need for their garden. To create a garden, the children will need to research different types of plants that are suitable for the garden they want and where they can buy them from on the internet. They will also need to design what plants will go where and when they will flower. Children can also use an aerial view of the school to find a perfect place for their garden to go. 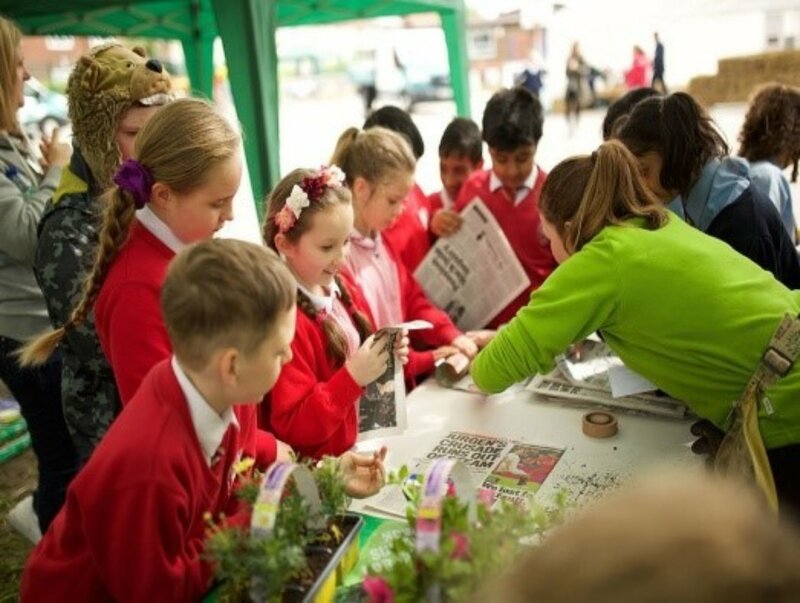 Geography can also be incorporated by allowing the children to locate the garden centre on a map, use grid references and a compass to gain a better understanding of their community and the rest of the United Kingdom. They can also use geography to research where the bulbs came from, calculating the distance that they have travelled and differences in climate within the various locations. Maths can be developed into planting bulbs in various ways. Children can estimate the number of bulbs needed to fill their planting area, using grids and charts to show growing rates, weather and soil conditions. Children can also measure the height of plants as they grow, keep records and make estimations. Throughout all activities children will be learning new vocabulary linking to English, they will also be learning a second language as all the plants have both English and Latin names. Planting bulbs to create gardens and areas can empower children, allowing them to take ownership of areas within their school grounds. The fastest way to empower children is to make their work matter in a real setting. By creating an environment where their efforts will impact on other people in a positive way, you can help children recognise the tremendous influence that they can have. Teachers can promote active and independent learning that enables pupils to think for themselves, helping them to plan and manage their own learning. Planting bulbs can also provide another important area of children’s school life, creating areas for quiet time in a peaceful environment. Providing children with a quiet and tranquil place for reading, reflecting and a calm meeting space away from the hustle and bustle of the playground is imperative for children. By carefully planning the type of plants to use and where they are planted, teachers will be able to create spaces that are crucial for a child’s development. The spaces that the staff and children create can also be planned so they become a sensory area where children can investigate smell, touch and sounds all created by the plants. 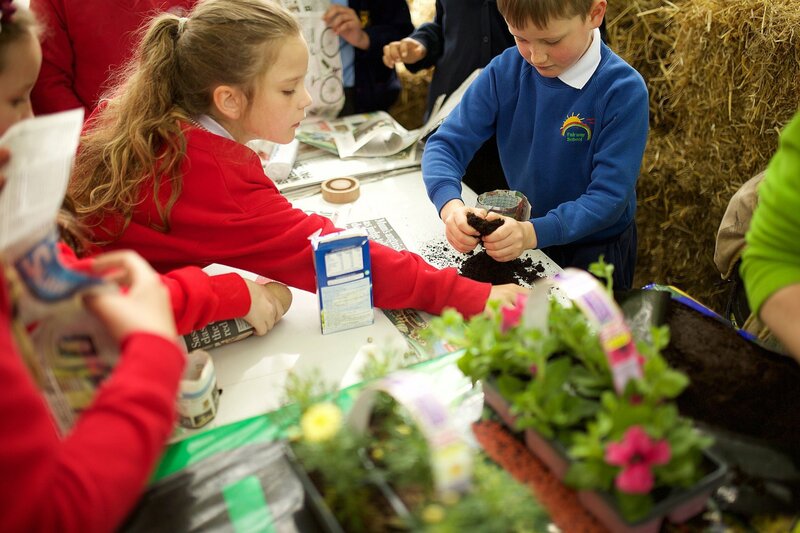 If the schools are fully involved in the planning and planting process, children can also discover the skills needed by people undertaking these jobs, in this case those skills that relate to the planting and care of plants such as a garden designer, grounds keeper and landscape gardener. Children’s cognitive, social and physical abilities are developed through generating choices, making decisions, negotiating, using ideas and imagination, exhibiting motivation and perseverance through challenging play. The curriculum and life skill links are endless, limited only by the teacher’s and children’s imagination, giving the opportunity to inspire children in new and innovative ways. If you’ve a project to discuss, some maintenance we can help with, or you’d like to find out more about our innovative approach...drop us a line. Your message has been sent and we will get back to you shortly. Something has gone wrong. Please email us at enquiries@greatgrounds.co.uk.